The ATAC XC 6 is made for XC mountain bike riders and gravel cyclists. It features a chromed, hollow steel axle for lightness and durability, a composite body and tension adjustment to adjust the feel of the pedal. The exclusive ATAC system (TIME patent) offers very easy engagement and its open design automatically clears debris each time you step in. 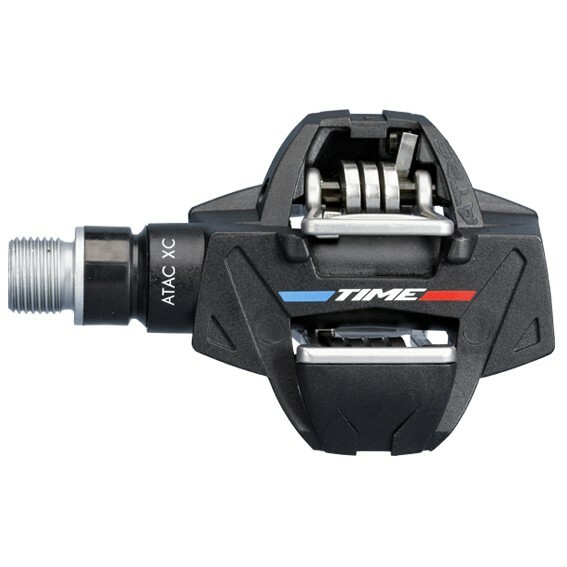 The ATAC XC 6 is also suitable for cyclocross, trail riding and bike touring.